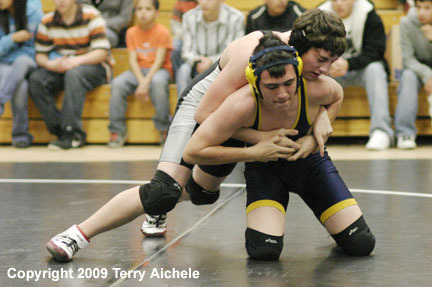 Jace Hendrin of Irrigon in black and gray wrestles Tanner Yarborough of Lakeview in the 140 pound weight class. 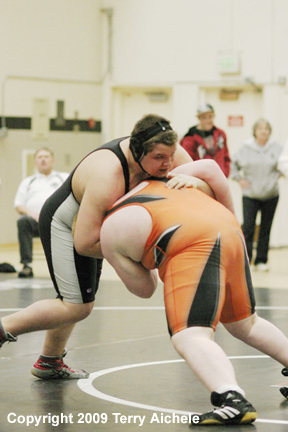 IRRIGON - First round action of the OSAA District III 2A Wrestling Tournament took place Friday in Irrigon. Wrestlers from Bonanza, Chiloquin, Culver, Gilchrist, Irrigon, Lakeview, and North Lake took part in the two day tournament. Avery Overton North Lake Bye, Fall :28, Stephen Krueger Culver Dec., Austin Totten Bonanza Fall 3:37, Tyler Carroll Irrigon Dec.
LEFT - Jace Hedrin of Irrigon, in black and gray, attempts to roll over Tanner Yarborough of Lakeview, in blue and yellow, during their Friday 140 pound match. 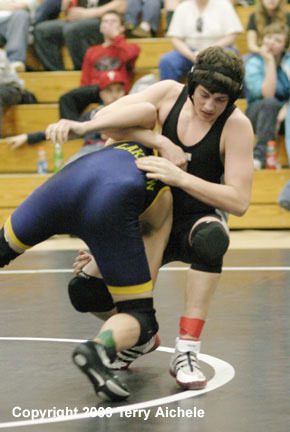 RIGHT - Jace Hedrin of Irrigon works to push Tanner Yarborough of Lakeview down to the mat. LEFT - Jace Hedrin of Irrigon in gray and black drives Tanner Yarborough to his knees. RIGHT - Kyle Sullivan of Irrigon in gray and black uses his full weight to leverage Cory Knox to roll into position for a pin in their 160 match. LEFT - Cherisse Jackson of Chiloquin in blue attempts to push Ian Maxwell of Gilchrist down during their match on Friday. Cherisse was one of three lady wrestlers competing at the district tournament. There will be an OSAA state tournament for lady wrestlers in Portland. RIGHT - Cherisse Jackson of Chiloquin on the left and Ian Maxwell of Gilchrist on the right. 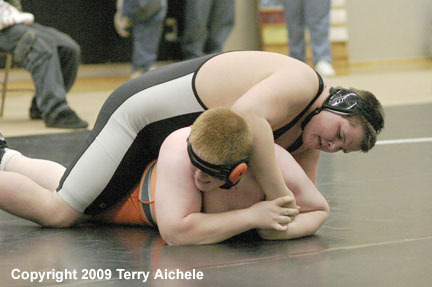 LEFT - Harry Ambercrombie of Irrigon, in black and gray, battles Jake Jones of Culver, in orange in the 285 weight class. 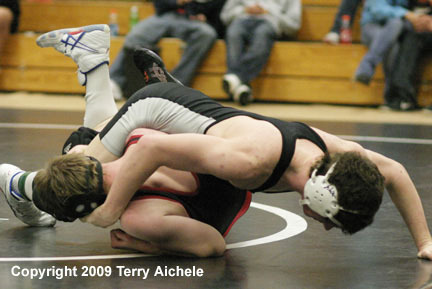 RIGHT - Harry Ambercrombie of Irrigon attempts to roll over Jake Jones of Culver. 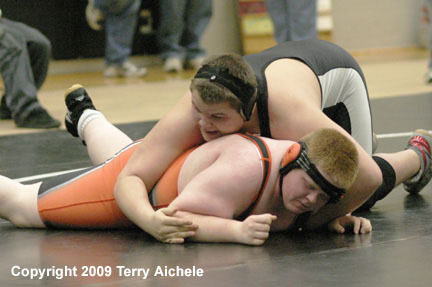 LEFT - Harry Ambercrombie of Irrigon attempts to roll Jake Jones of Culver over. 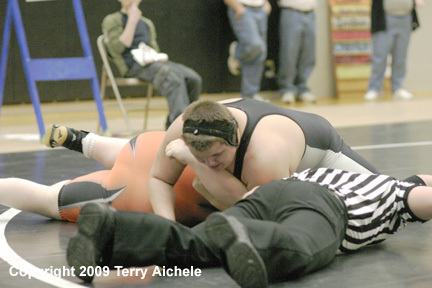 RIGHT - Harry Ambercrombie of Irrigon gets Jake Jones rolled over and is pressing for the pin which he got at :57 seconds.